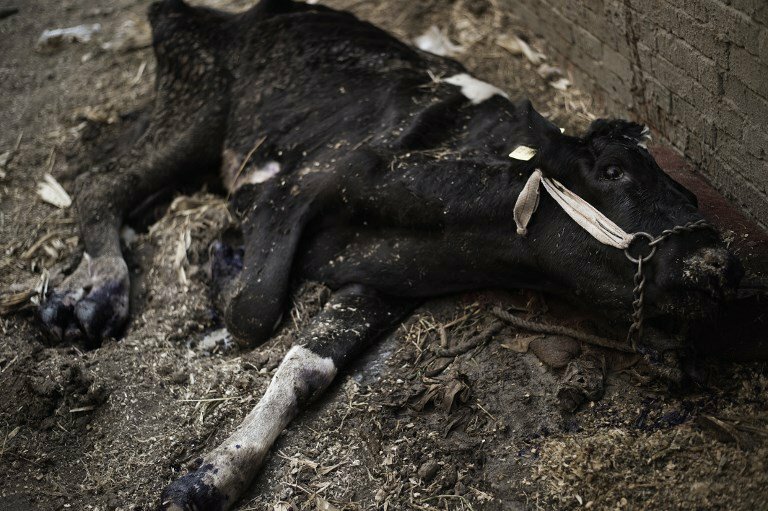 The Mopani, Vhembe and Molemole districts in Limpopo remains under quarantine due to an outbreak of foot and mouth disease. Minister of Agriculture, Forestry and Fisheries Senzeni Zokwana briefed the media briefing in Pretoria on Monday following the establishment of several task teams last month. At least 10 000 animals have been vaccinated, including 400 cattle. "No cloven-hood animals are allowed to move within, into, or out of the area, there is a complete standstill of these animals. The movement permits which were previously issued have been withdrawn. Products from these animals may be allowed to move within this area, however, movement of such products outside this area will be considered on merit and only allowed through a permit issued by a state veterinarian," said Zokwana. The MEC for Agriculture in Limpopo Bioskop Makamu said roadblocks have been set up on the N1 and R81 highways to Gauteng. Zokwana could not confirm the financial losses incurred by the red meat industry due to the restrictions by neighbouring on South African exports. "Without giving specific numbers, we have said that because of the outbreak we could not do business as usual, that is why we had to activate the team which is dealing with trade. They clarified and made sure that there is comfort in the trade market to ensure that our products like deboned meat and other products are allowed to find those markets and there has been progress in this regard." Vaccinated animals have been marked so that they are identifiable. Zokwana confirmed that National Treasury allocated over R5 million to the agricultural sector as part of relief efforts. Grain SA's CEO Jannie de Villiers said farmers have had a horrible start to the year. "We started off the summer season actually very terribly because the rain came late, the crops are at least one month late. Currently, in the eastern part of the country, it looks average and in some instances good, we had big patches of hail damage, bigger than in the past and we think its due to climate change." De Villiers said in the western parts of the country farmers are behind in terms of planting. "All the maize we planted was in January and those little maize plants are really struggling. We have seen that the farmers planted more than the market expected but a lot of those plants are in terrible condition. We have seen that maize prices have also increased which is not good for consumers." De Villiers warns that farmers are facing a bleak financial future. Zokwana said he has received recommendations from the Section 7 Committee which is looking into the drought. The committee has recommended government sets up a disaster fund, establish public-private partnerships, set up a multiperil agricultural insurance and to create an early warning system. He said his team will discuss the recommendations with Treasury.